Bill Williams and Catherine Whitby at Massey University in New Zealand have a MacDiarmid Institute (http://macdiarmid.ac.nz/) sponsored PhD position available. The project focuses on using the tools of soft matter science to understanding cell biomechanics. It would suit a student interested in using a combination of experimental techniques, including surface characterisation tools, microscopy and mechanical testing, to characterise the structure and function of the biopolymers found in cells. Biopolymers in cells assemble into network structures: the cytoskeleton that fills the interior and the cell walls that surround them. Controlling the mechanical properties of the cytoskeleton and the cell walls is crucial for the ability of cells to change shape and to divide. Their biopolymer networks extend throughout the cell, forming a gel. The viscoelasticity of these gels controls how cells work. Despite the progress made in soft matter science in the characterisation of the physical and chemical properties of gels, we understand little of how to apply this to cell biomechanics. Predicting the mechanical response of the cytoskeleton and of cell walls is the ultimate test of our understanding of how complex biopolymer networks deform under stress. This project aims to develop an artificial cell system comprising of aqueous biopolymer gel drops in oil that reproduce the responses of real cells. We will mimic different types of cells by manipulating the elasticity of biopolymers both inside the drops and those at the drop surfaces (mimicking the properties of cell membranes and walls). We have the advantage of access to experimental techniques that can range from probing the properties of biopolymers on the microscopic scale up to droplet deformation on the macroscopic scale. This project offers you the opportunity to do ground-breaking research in soft matter and biophysics and to become an expert in microscopy and rheology techniques. To apply, please contact Catherine (C.P.Whitby@massey.ac.nz), with your curriculum vitae by 30th of November. Please also email her if you have questions about the position. The American Chemical Society (ACS) is soliciting nominations for two awards in the fields of colloid and surface chemistry. The ACS has recently changed eligibility rules for the awards to permit nominations of researchers from outside the US. The deadline for nominations is Nov 1. Dulux have two R&D chemist roles currently available at their research labs in Clayton. Melbourne. These roles are in the polymer and paint formulation area. Applications are invited for a 3 year CSIRO Postdoctoral Fellowship. The project aims to develop highly sensitive nanoparticles that are functionalized with custom ligands or chemosensor molecules that are capable of low-level detection of critical nutrients that exist within soils. Soils are complex and dynamically changing with time, as are the chemical states of molecules and nutrients contained within them. This makes the sensitive and selective detection of these species extremely challenging. The research in this fellowship aims to solve the science challenge of understanding the mechanism of interaction between dynamically changing nutrient molecules (nitrates and phosphates) and the functionalised nanoparticles, which will lead to the development of a nanoparticle based sensor or sensor array. The Chemical Society of Japan's 67th Divisional Meeting on Colloid & Interface Chemistry, Division of Colloid and Surface Chemistry will be held from September 22nd to 24th 2016, at Hokkaido University of Education, Asahikawa Campus. The website is now open for abstract submission. The deadline is June 17. We have an opportunity for an innovative and motivated Chemist in the Research & Development team based at our renowned Innovation Centre in Clayton, Melbourne. In this hands on role, you will work researching and trialling new raw materials to help formulate, develop and commercialise innovative new products. The roles will involve polymer synthesis and evaluation, as well as paint formulating. You will primarily focus on both short term and long projects, which will help drive key Business initiatives, as well as maintain the current product range. You will work with a strong sense of ownership and thrive on the opportunity to identify and introduce new technologies and ideas for products and processes. Note that the closing date for applications is Sunday 29th May. We are looking for post doc candidates to collaborate and submit with us a prestigious Marie Curie Individual Fellowship application (base salary: 4000 euros/month after tax). This fellowship would lead to a 2 years post doctorate contract to perform cutting-edge research in a young innovative French company in Paris while learning business and entrepreneurship skills. Organ on a chip, lab on a chip, Micro-PCR, microfluidic instruments for cell biology research, microfluidic cell culture and drug screening, microfabrication. Complex nanostructures abound in biological tissue and related synthetic soft materials. These convoluted forms remain largely unexplored, both in terms of how and why they emerge, and undoubtedly involve interplay of biology in vivo with physicochemical factors at work in vitro. ‘Animal Vegetal Mineral’ will be an interdisciplinary forum to discuss and attempt to demarcate the similarities and differences between structure formation mechanisms in biological materials and synthetic soft self-assembled materials. We invite and welcome interested scientific researchers from biology, chemistry, materials science, physics and mathematics to join us for an open-minded exploration of the relations between shape, structure formation and function in biological tissue and nano- and mesostructured materials. 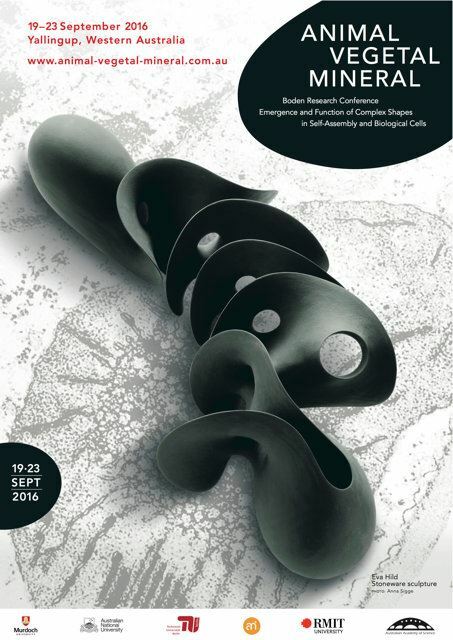 A special issue of the journal Interface Focus LINK will be dedicated to the themes of the conference. Participants are encouraged to propose contributions to this issue. A new book, Silencing Silence, by ACIS member Shaun Hendy highlights some recent examples of where scientists have been missing in action when the public needed their knowledge and insights the most.